And there is nothing greater than black outfit. Except for one with cow print of course. I know that many people out there dare not go all black. I'll admit, there is a fine line between looking emo and looking fashionable. The trick is (as I've said before), it's all about textures. 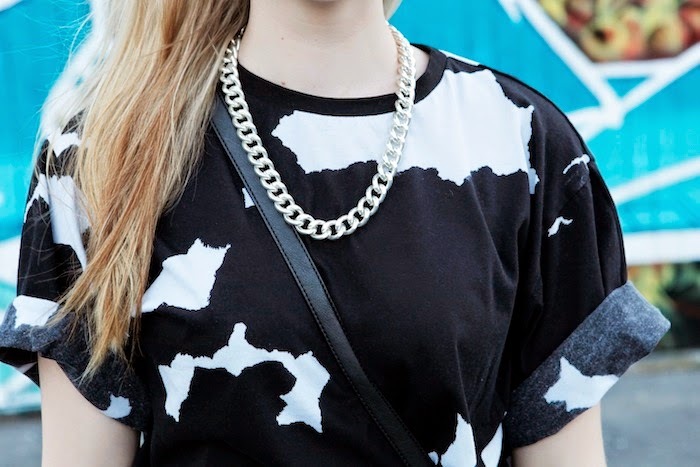 A light jersey top, with a scuba-feel short, and leather handbag- gives the monochrome some undertones and overtones. 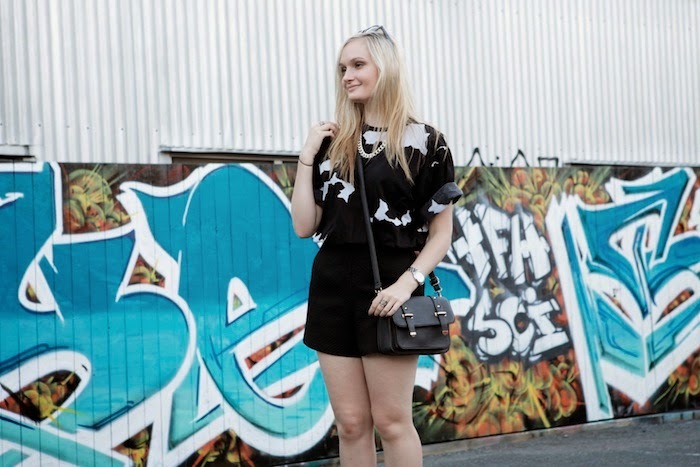 Wearing: Maurie and Eve Top, Asos Shorts, Sportsgirl Bag, and Wittner Shoes.